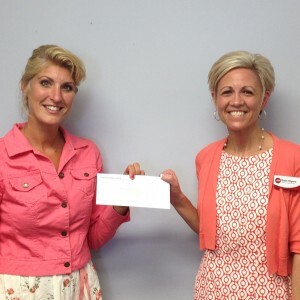 Beth Styers, representing Teachers Credit Union, presented a check to Amy Middaugh, president of the School Board for Triton School Corporation. The check will be used to purchased incentives for the reading program at Triton Jr.-Sr. High School. The program is entering its third year at Triton and has seen improvement in student reading achievement. Triton appreciates that Teachers Credit Union has sponsored this program each year.